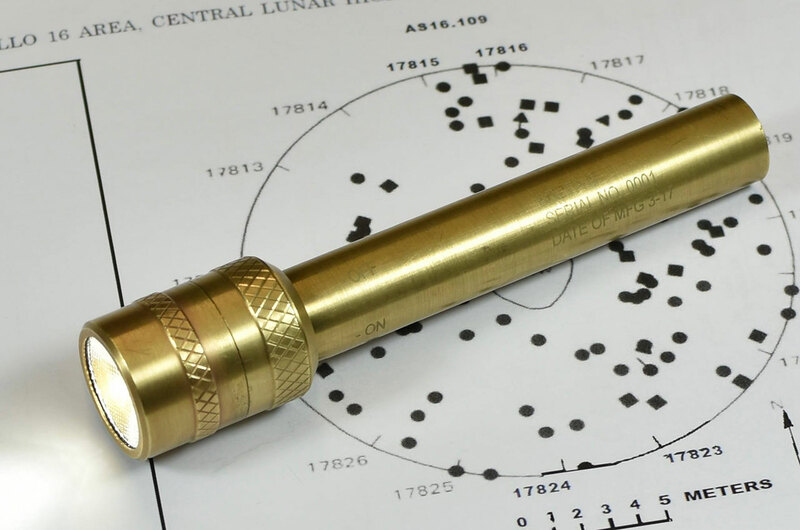 — A company that specializes in producing nautical and diving torches is shining new light on a lantern that was flown to the moon almost 50 years ago. Barbolight, based in Madrid, Spain, has created a modern flashlight based on the appearance of the penlight used by NASA's Apollo, Skylab and early space shuttle astronauts. The company is crowdfunding the production of the "space age" light, using Kickstarter to raise 11,969 euros ($14,000 US). "Every astronaut of the Apollo project was issued with a penlight that proved to be vital. Now we want to bring them back to life," wrote Javier Barbarin, the CEO of Barbolight, on the website. 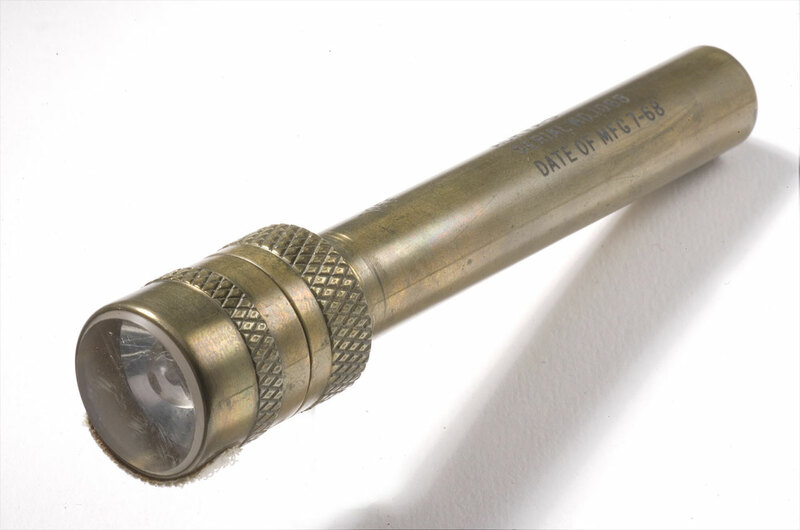 Developed for NASA by ACR Electronics, the model FA-5 penlight was manufactured for the space agency by Fulton Industries of Ohio. 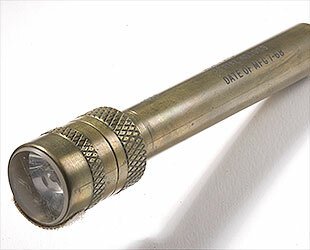 The magnesium flashlight was powered by two AA batteries and was turned on and off by rotating the bulb end of the brass casing, according to Chris Spain, an enthusiast whose space-flown artifacts website inspired the Barbolight replica. "The flashlights proved to be vital on the Apollo 13 mission as the crew [relied] on them heavily after powering down their stricken spacecraft," wrote Spain, describing the use of the penlight aboard the 1970 mission to the moon. Jim Lovell, Fred Haise and Jack Swigert praised ACR for the flashlight in an April 1971 letter to the company. "We never turned on the lights in the spacecraft after the accident. As a result, your penlights served as our means of 'seeing' to do the job during the many hours of darkness when the sunlight was not coming through the windows," wrote the astronauts. "We never wore out even one [penlight] during the trip; in fact, they still illuminate today," they continued. "Their size was also a convenience, as it was handy to grip the light between clinched teeth to copy the procedures that were voiced up from Earth." According to Spain's research, the lights were produced exclusively for NASA in three batches, between June 1968 and August 1972. Multiple penlights were flown on every Apollo mission, from Apollo 7 through Apollo 17, as well as aboard the Skylab orbital workshop, the Apollo-Soyuz Test Project and the shuttle missions launched through the late 1980s. ACR (through its parent company) marketed a commercial light that incorporated some of the technology it developed for NASA, selling two million between 1972 and 1978, but it did not resemble the Apollo-used design. Barbolight decided to reproduce the FA-5 penlight as an "homage to those heroic times of space exploration." "Its reliability is such that today [it] continues to work," said Barbarin. "[Its] purity of lines, coupled with the undeniable elegance and oldness of brass alloys, made this lantern a tribute to the principles of simplicity and function." Barbolight stayed faithful to the appearance and size of the original Apollo penlight, but replaced its incandescent bulb with a more efficient LED (light-emitting diode). That meant also replacing the translucent lens with diffused optics, so the penlight could still work well in confined environments, "like a space capsule, but also a sailboat [or] small plane." 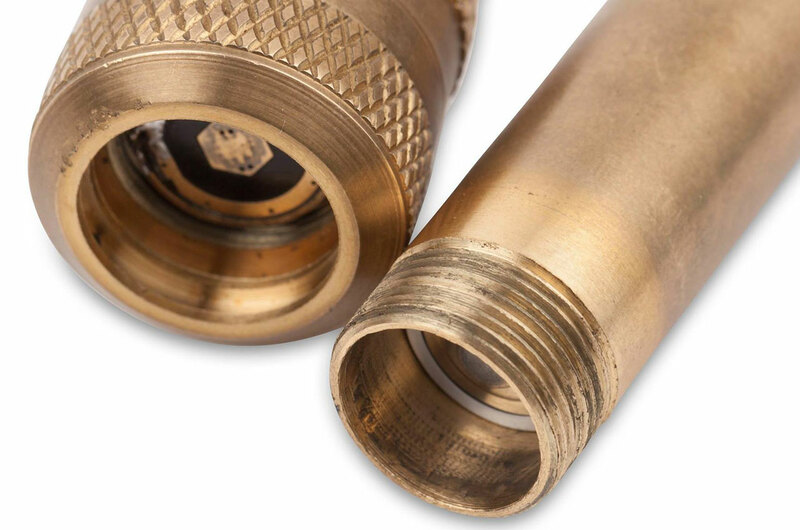 Barbolight also chose an emitter that reproduces the warm color temperature of the original magnesium bulb, and, as manufacturers of diving lanterns, made the flashlight water resistant to more than 300 feet (100 meters). 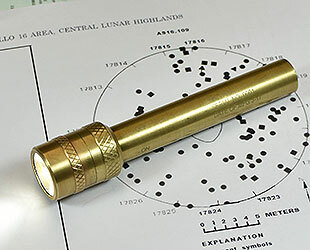 Space-flown examples of the original ACR penlight, which were saved by the astronauts as mementos of their space missions, have sold for thousands, if not tens of thousands of dollars at auction. Even examples used for training have commanded more than $1,000. Barbolight is offering its replica for 99 euros ($113 US) for one, or less for orders of multiple penlights. 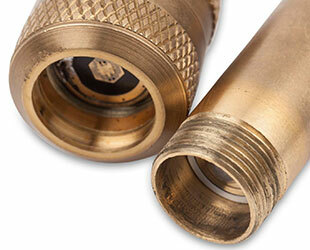 Pledges for 10 or more also include the option of laser engraving a logo of the buyer's choice. As of Monday (July 31), the Kickstarter campaign had 100 backers with 11 days to go until it closes on Aug. 12. For more details or to pledge for your own Apollo penlight, see the project's page on Kickstarter.